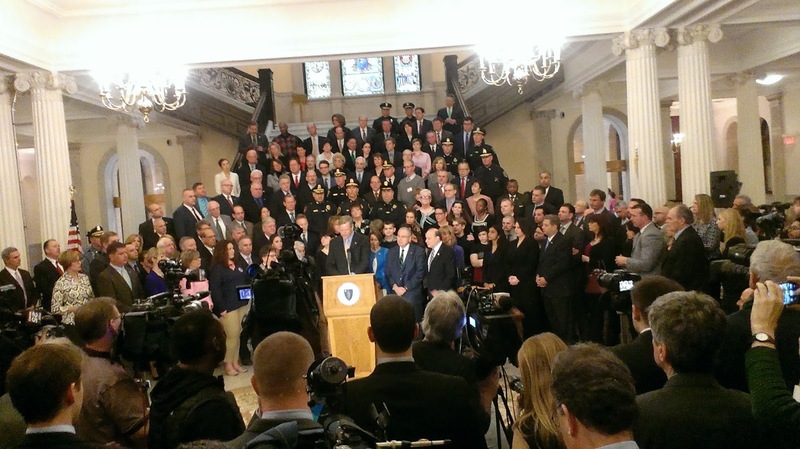 I was pleased today to join Governor Charlie Baker, Speaker of the House DeLeo, Senate President Rosenberg, Attorney General Healy, members of law enforcement, health professionals and others for a State House bill signing of the opioid treatment, education and prevention. 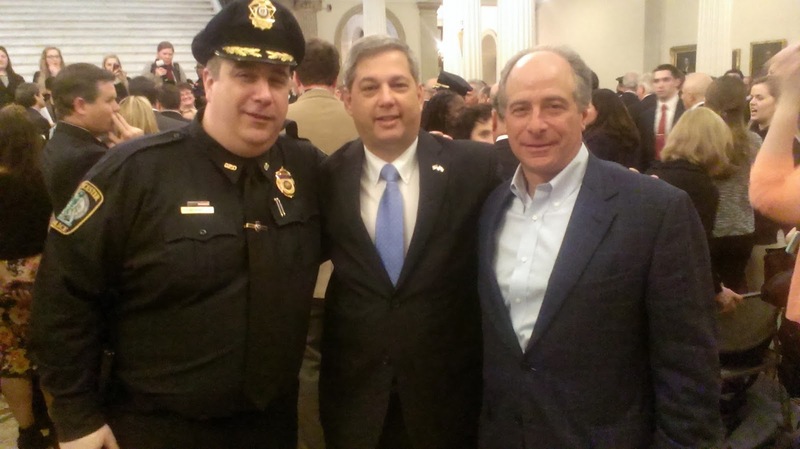 This powerful new law was a product of tremendous input from across the Commonwealth. 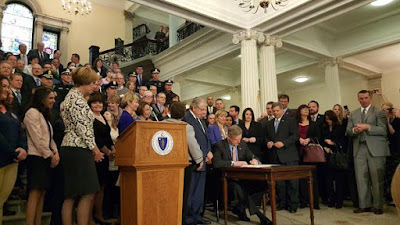 Because of the potent response to the daily loss of life from addiction in our state, this law will be a model for the nation because it directs those in need to treatment opportunities and empowers patients to limit exposure to opioids. 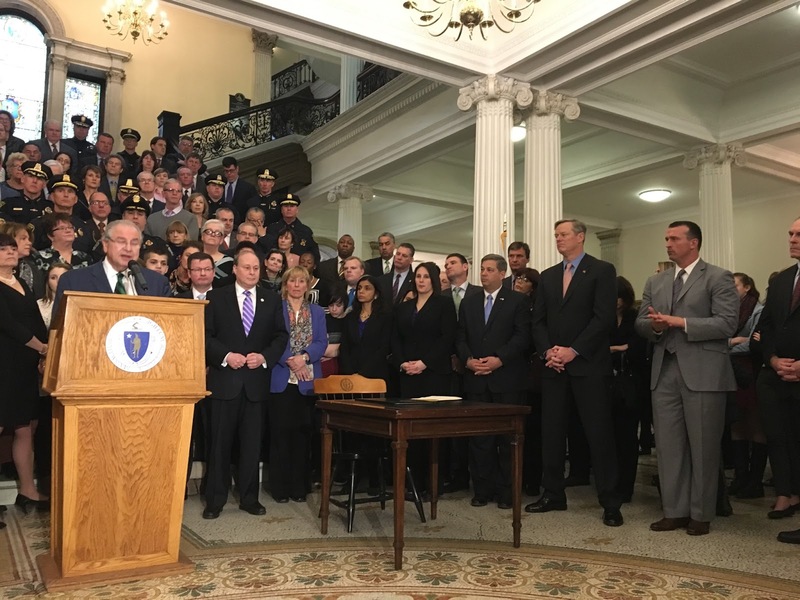 With two unanimous supporting votes in the Legislature, this bipartisan bill has been described as the most comprehensive measure in the country to combat opioid addiction.